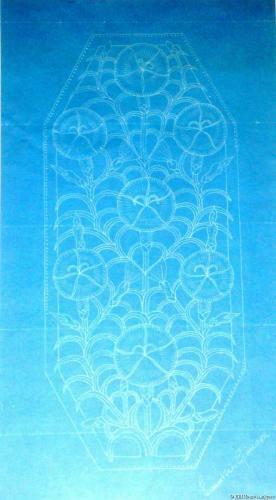 A rare and superb original blueprint design of a wall sconce, by the Cotswold School architect-designer, Ernest William Gimson (1864-1919), described by Nicholas Pevsner as “ the greatest of the English architect-designers” ; signed lower right. Gimson was one of the most influential designers of the English Arts and Crafts movement in the late 19th & early 20th centuries, and in particular the genius behind the Cotswold School in furniture and design. Excellent provenance; from the Gimson family by descent. Please note this is not the same one as we had in our 2011 selling exhibition; that one is now sold. Ernest Gimson His Life & Work, plate 44.